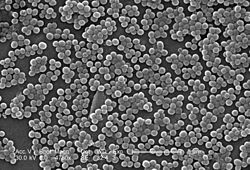 FujimuraShigeru、KatoSeiichi、HashimotoMotoya et al：Survey of methicillin-resistant Staphylococcus aureus from neonates and the environment in the NICU,Journal of Infection and Chemotherapy第10巻2号,p.131-132,2004. ^ J Antimicrob Chemother 2014 Sep 10; [e-pub ahead of print]. ^ Andersson DI, Levin BR. (1999). “The biological cost of antibiotic resistance.”. Curr Opin Microbiol. 2 (5): 489-93. ^ Miriam Ender, Nadine McCallum, Rajan Adhikari, and Brigitte Berger-Bächi (2004). “Fitness Cost of SCCmec and Methicillin Resistance Levels in Staphylococcus aureus”. Antimicrobial Agents and Chemotherapy 48 (6): 2295-7.